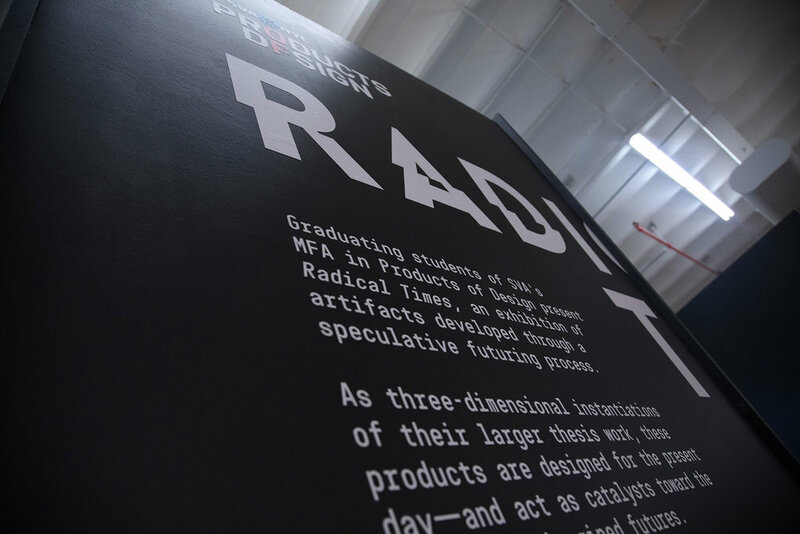 Students were guided through the speculative futuring process by faculty Sinclair Smith and began by developing print ads for a product that might exist decades from now in a utopian or dystopian future. 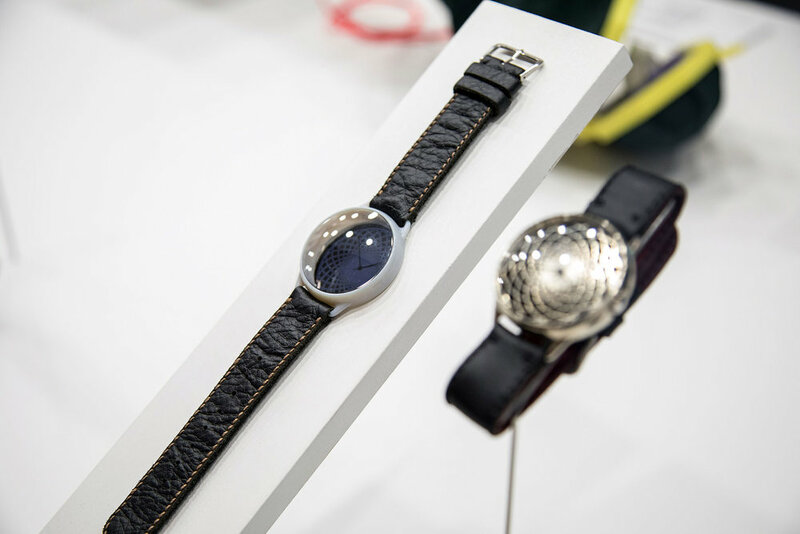 These futures represented an extreme progression of a present-day trend or behavior. 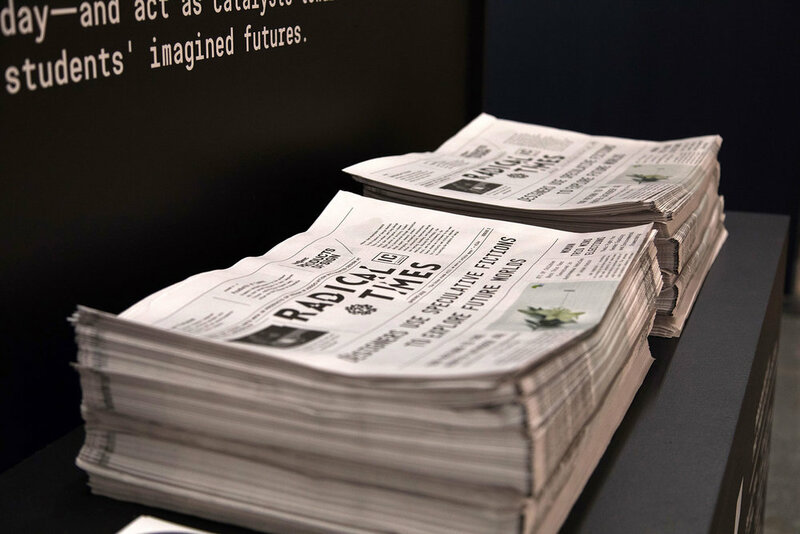 Once they had fleshed out this world by writing the headlines of the day, students worked backwards to ideate a product that might either foster or forestall the future they had envisioned. 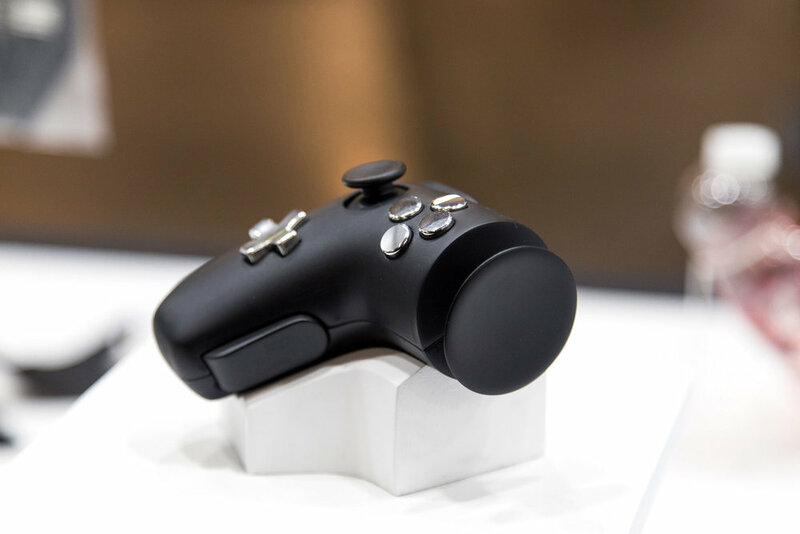 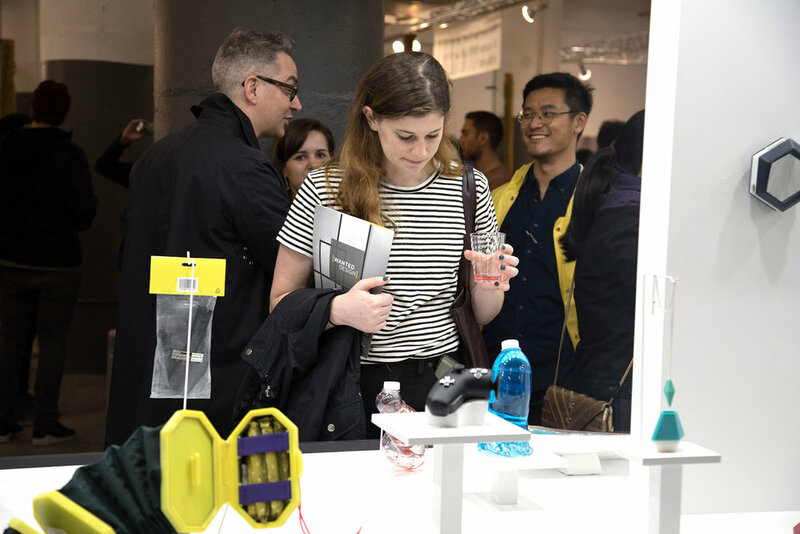 They designed critical products for the here-and-now, abiding by Raymond Loewy’s “Most Advanced, Yet Acceptable” principle for developing cutting-edge products that people wouldn't be too alienated to adopt. 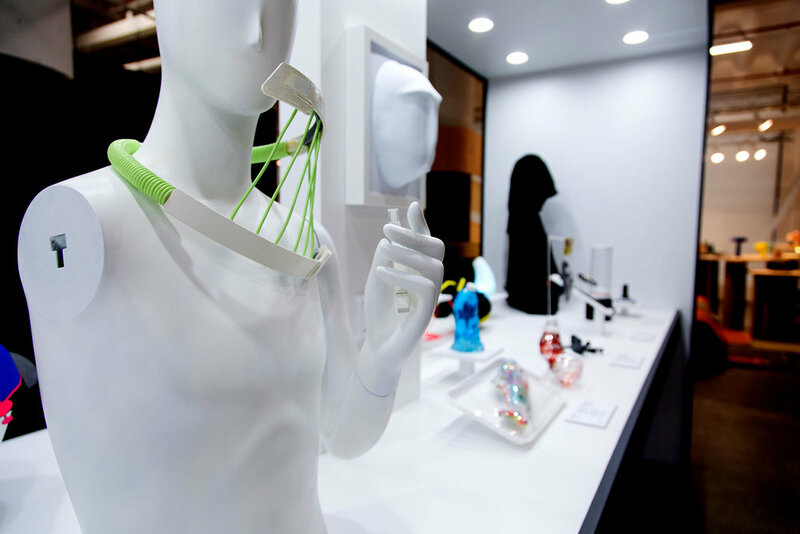 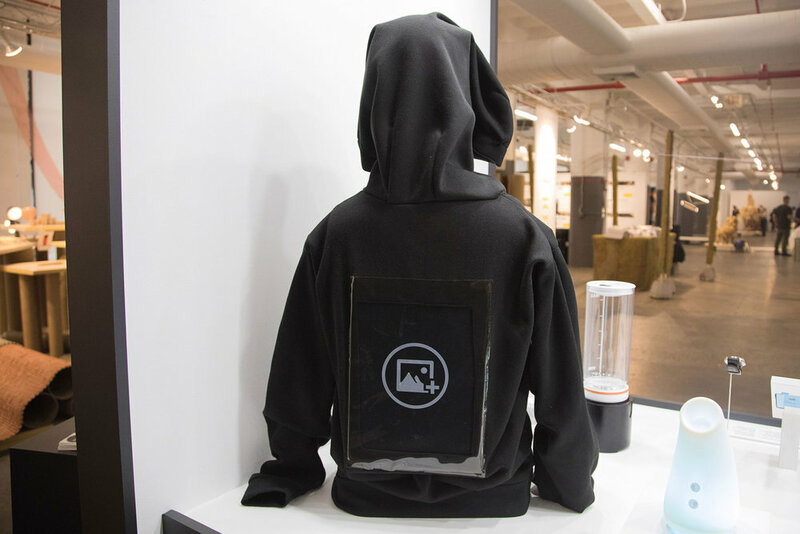 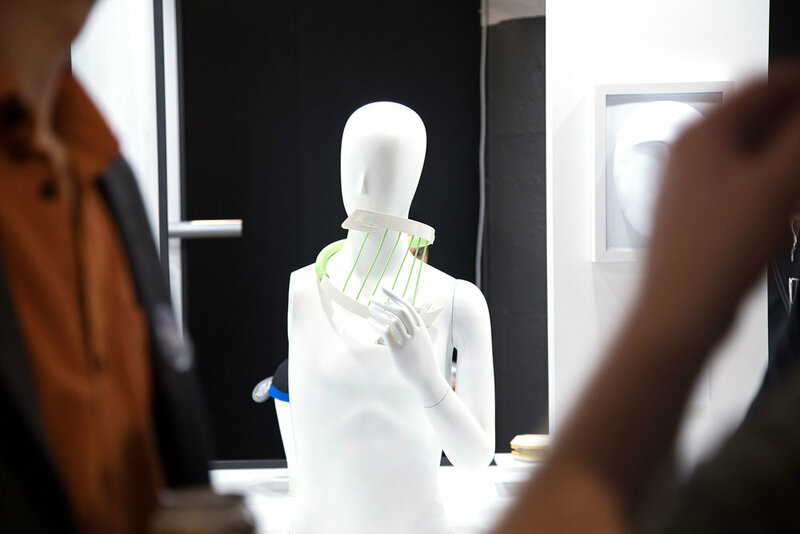 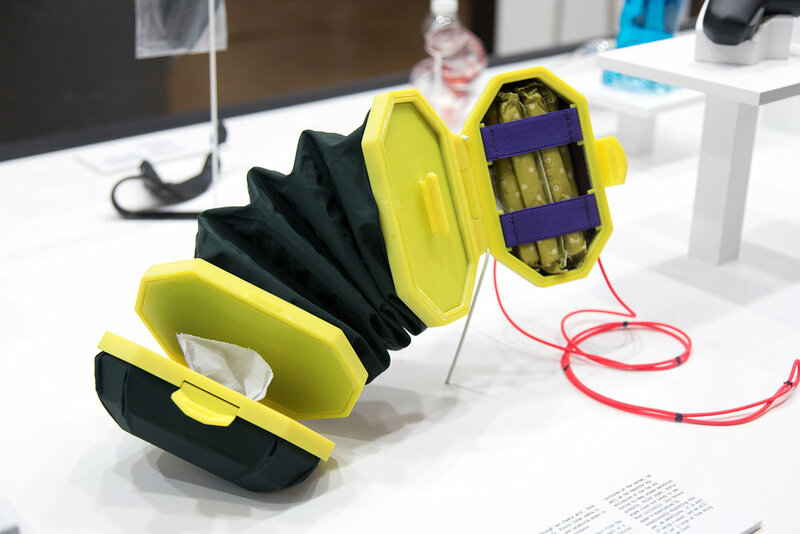 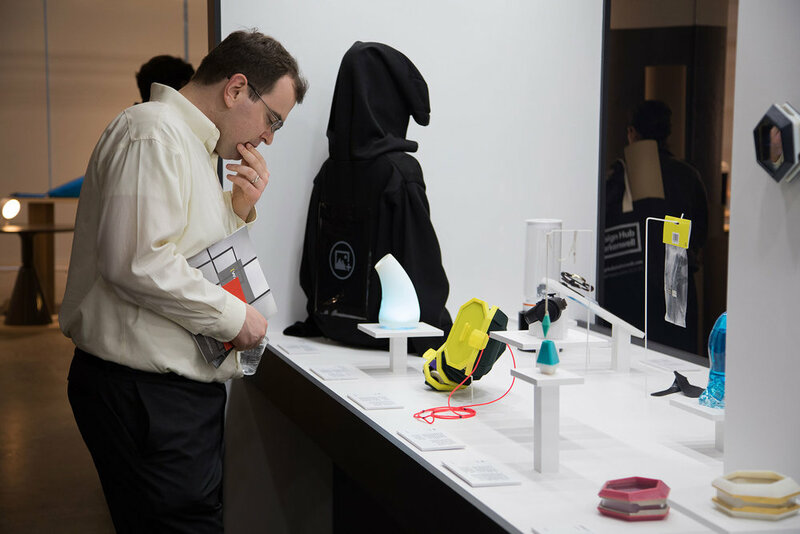 The contemporary products displayed throughout the exhibition are the “original specimens”— the initial product offerings that would precipitate or prevent a chain of events that ultimately leads to the utopias and dystopias students crafted at the beginning of the course. 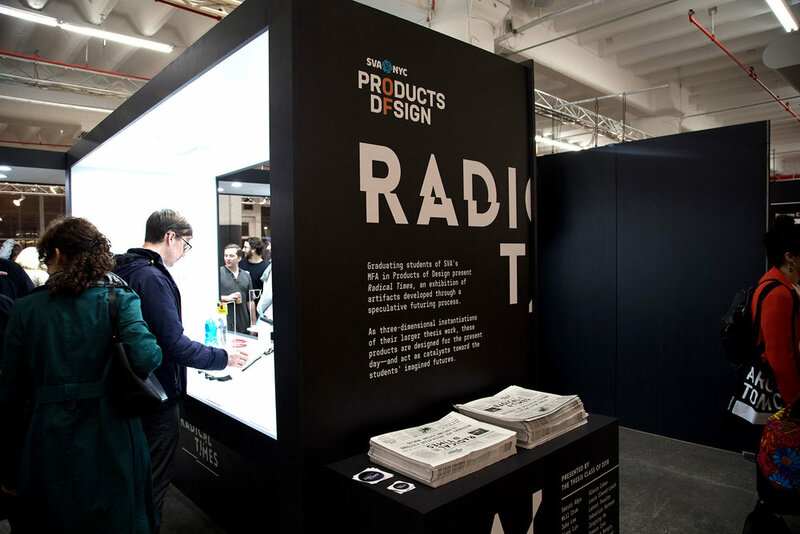 Thus, these products are objects of design, functioning as instruments of political, social, and cultural critique. 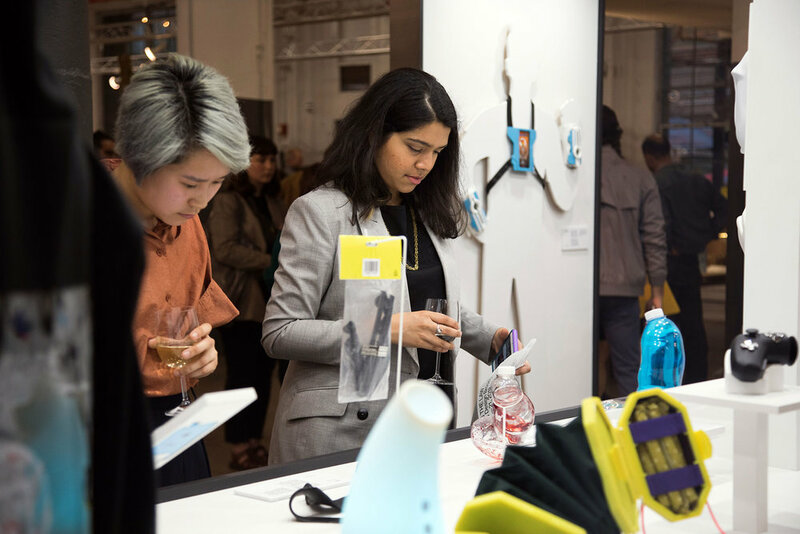 The products in the broadsheet below are designed by the 17 graduating designers in our Class of 2018. 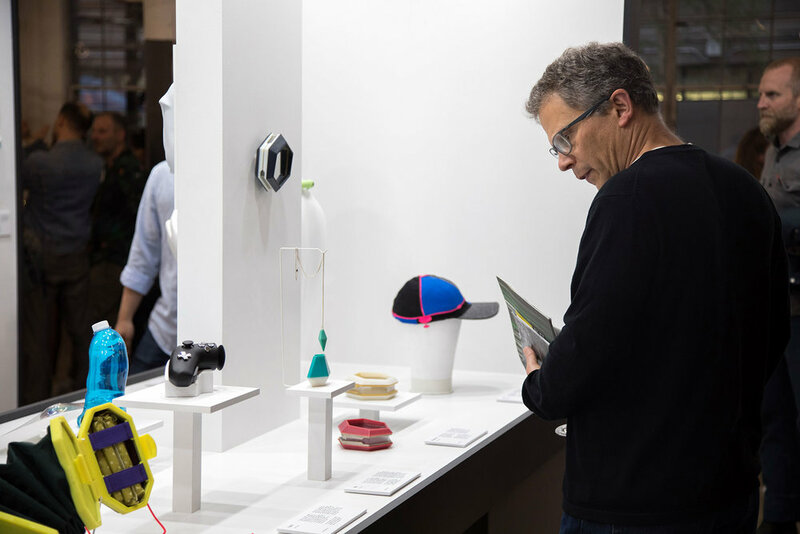 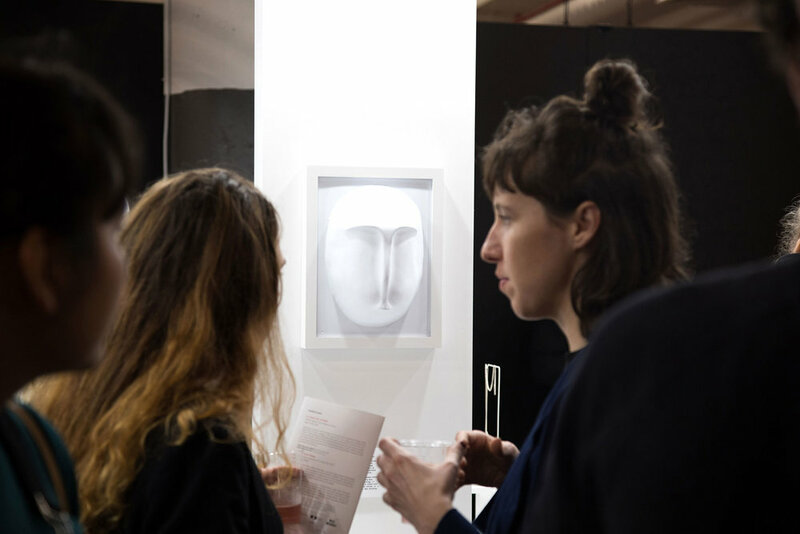 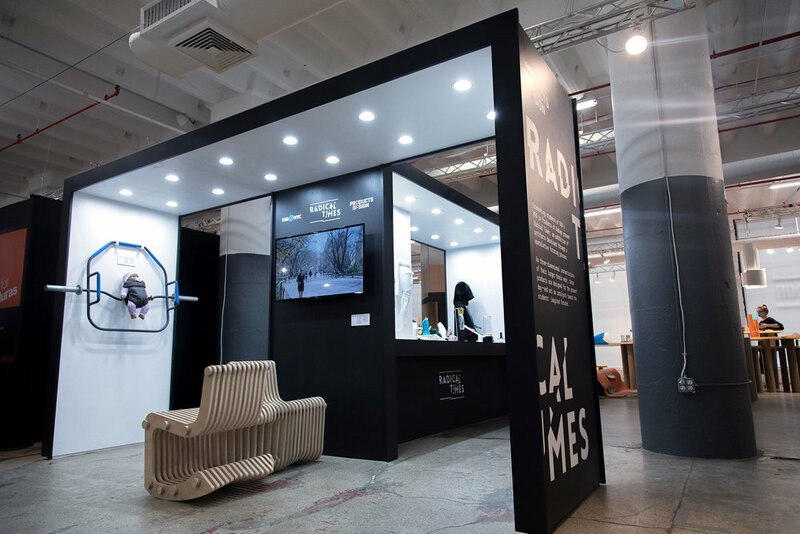 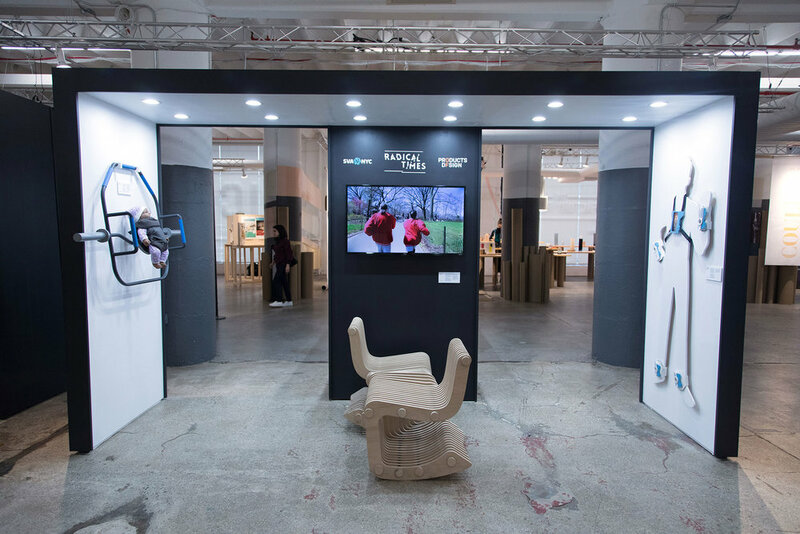 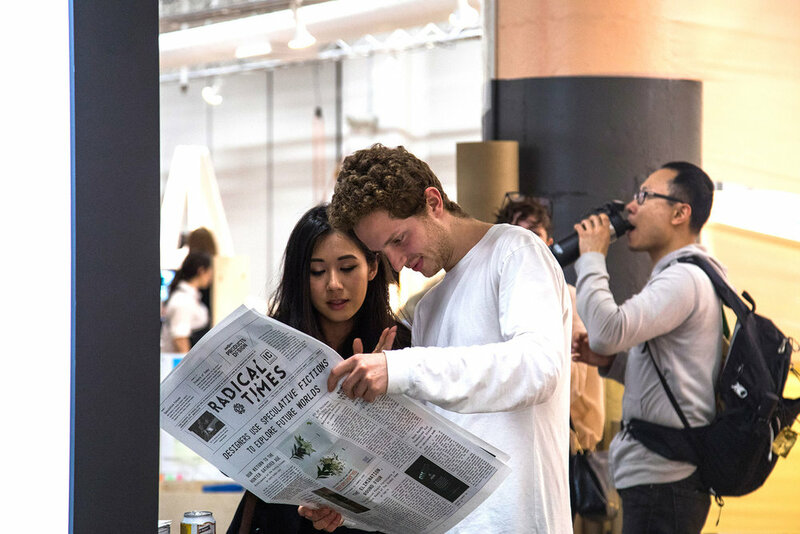 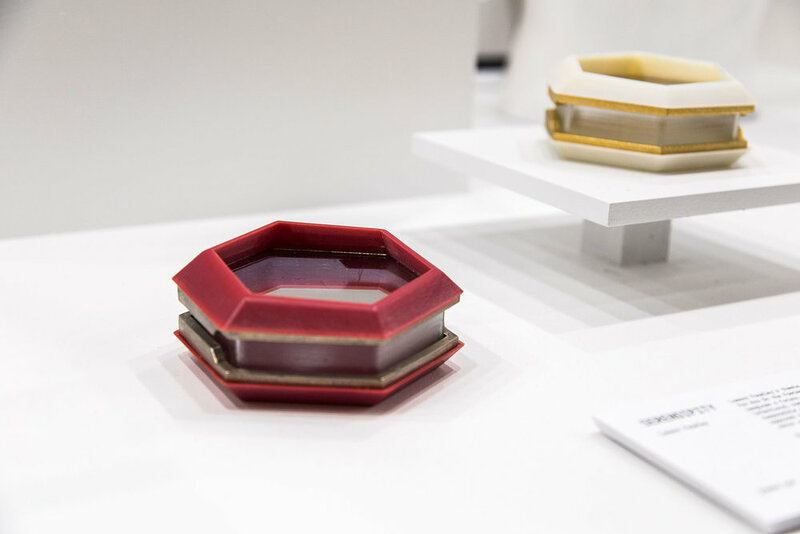 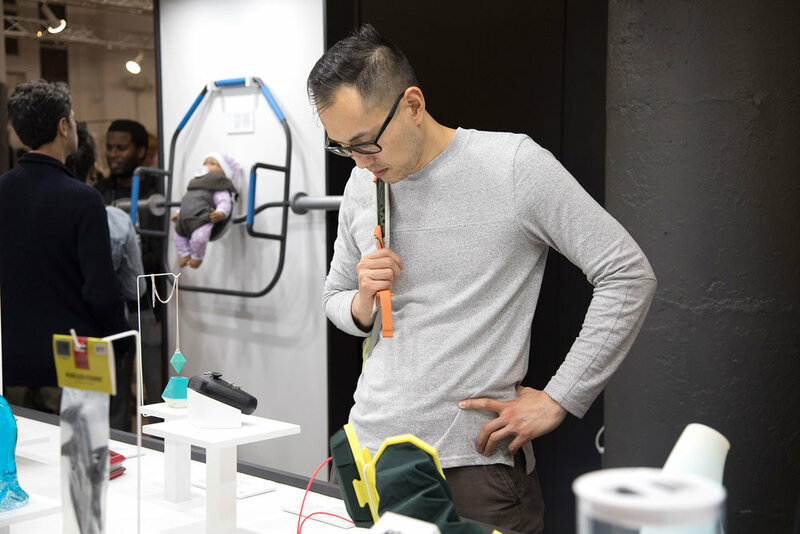 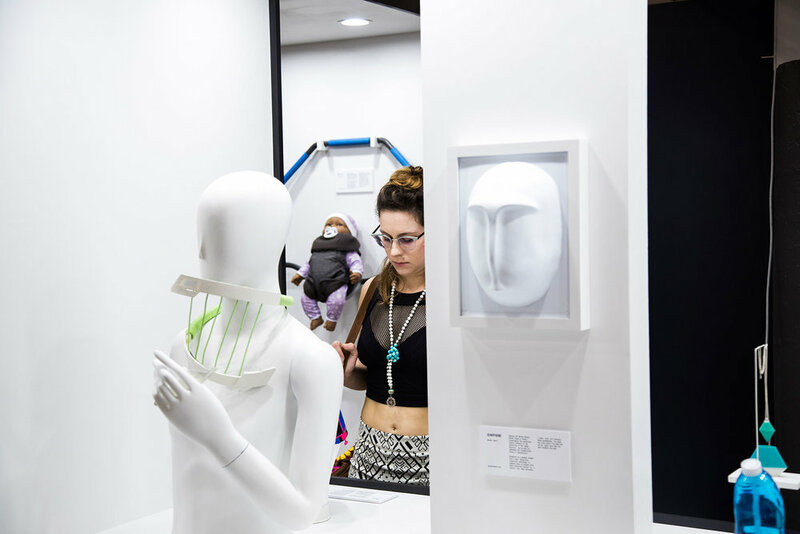 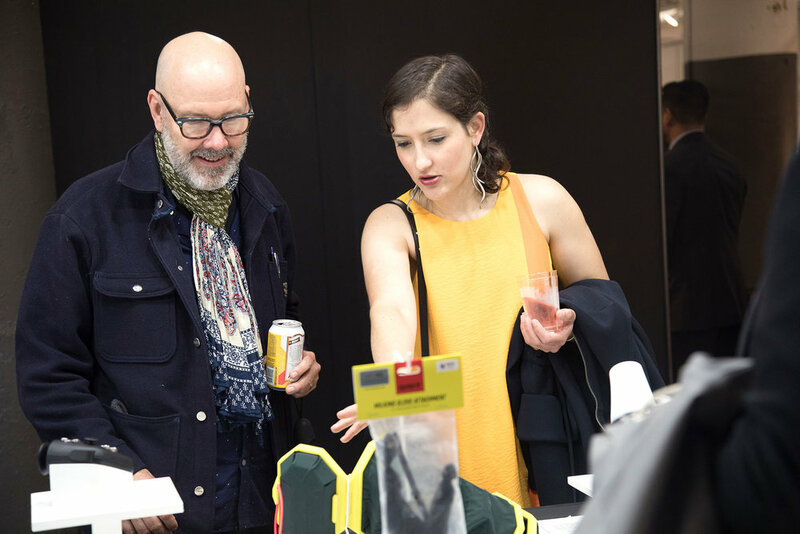 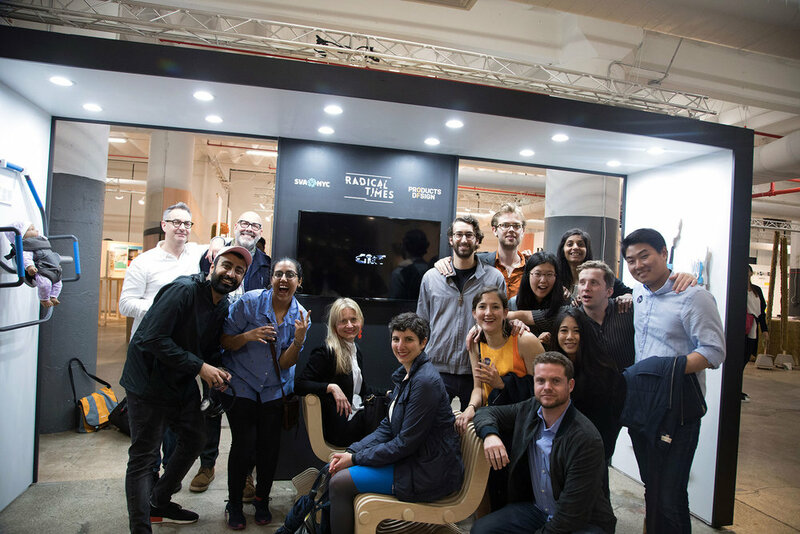 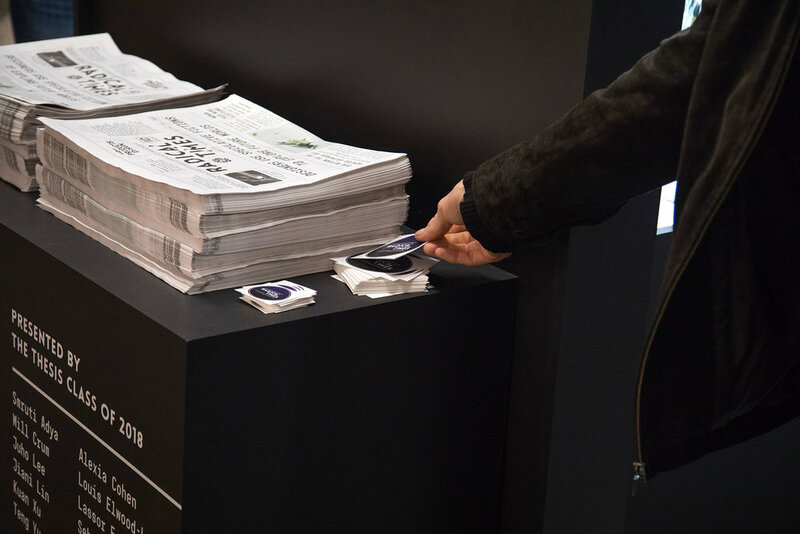 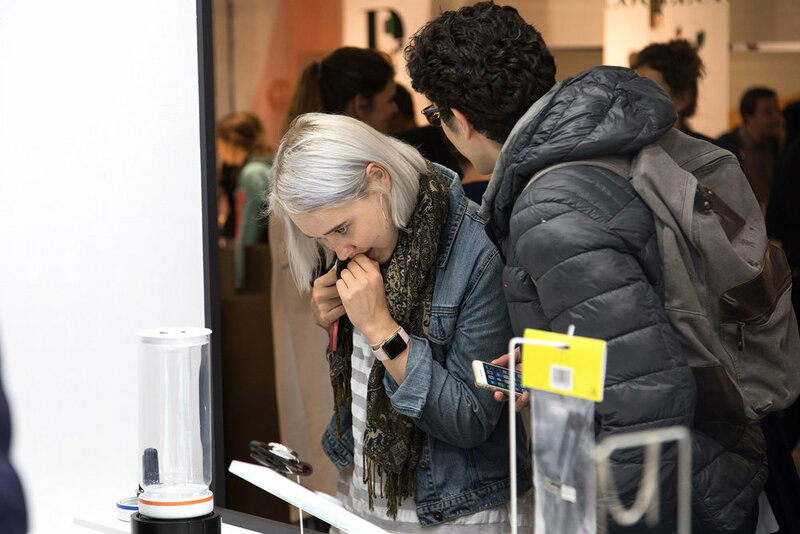 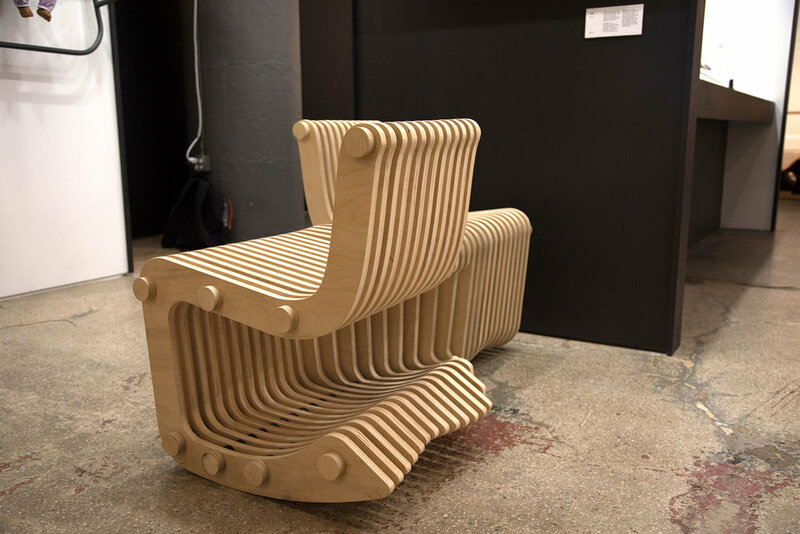 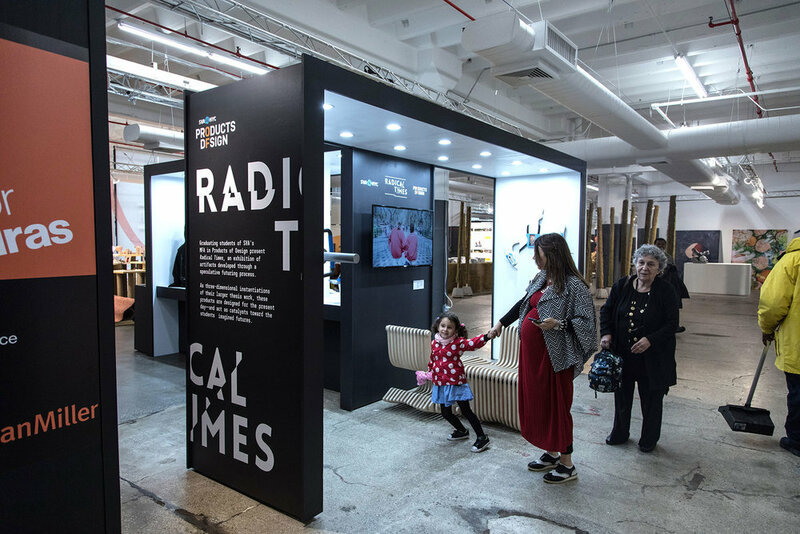 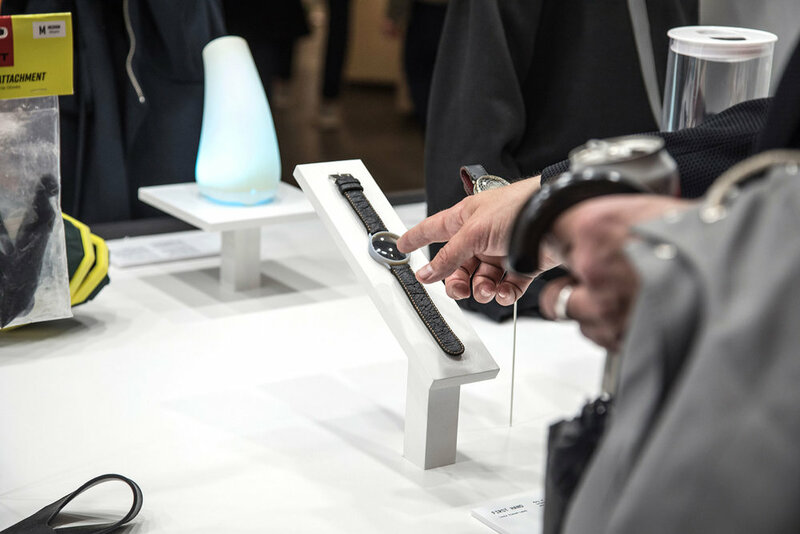 The exhibition was featured in Wanted Design Brooklyn as part of the 2018 NYCxDesign Global Design Celebration.